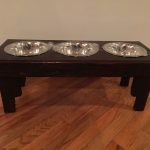 Need to get someone pallet furniture ideas? 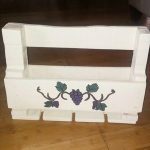 You are really at a right platform as there are flawless ideas here to reuse the single pallet for a number of utility, decorative and storage functions! 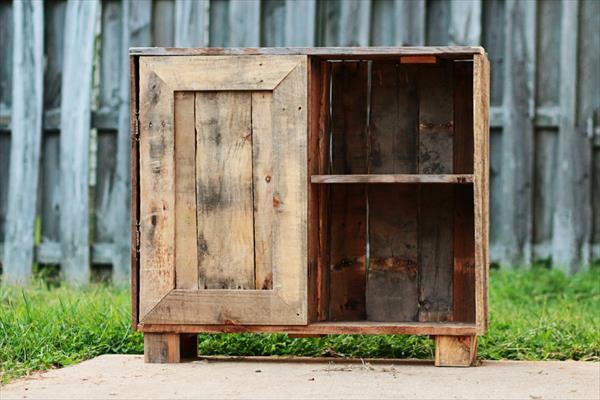 You can even use a one pallet board for furniture building without making any cuts in it or any other types of modifications! 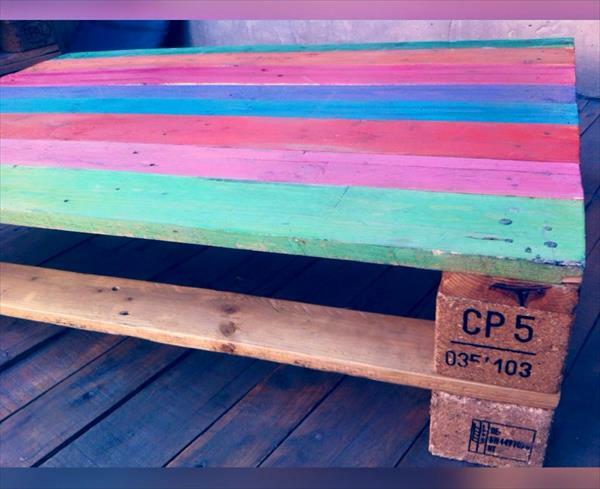 This rainbow coffee table is what you can get out of single sturdy pallet boards and you are well aware of a functional role of a coffee table for a living room! From complementing the interior living room decors to making a centerpiece for sofa set, a coffee table also serves as a conversation starter while being placed at the mid of your sitting plans! 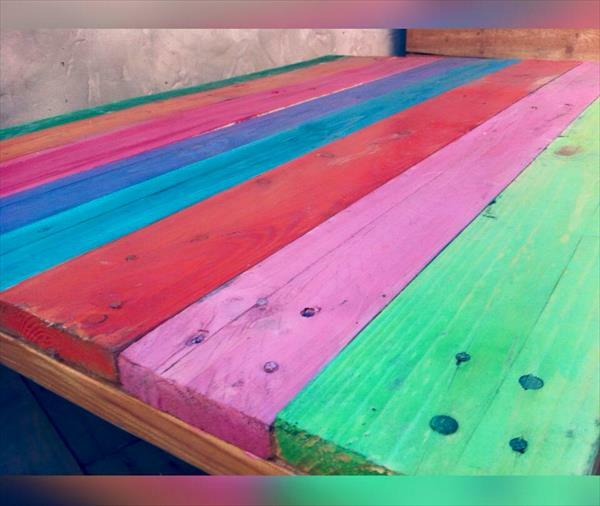 Here top deck boards of pallets have been painted differently for a rainbow color pattern which really raises the aesthetic value of table to peak! This something that is free to get out of pallets and also without any excess use of muscle effort and time! !